I actually watched this movie and wrote this review quite a few months ago but forgot to post it. This is the last one in my series of best picture nominees compared to No Country for Old Men. Yes I didn't put in a review for Juno since that was obviously not in the same league as No Country, decent yes, but not even close in terms of a well crafted film. Attonement is something I just have no interest in watching so no review on that one. Michael Clayton is an attorney who is a fixer, it starts with him having to go to upstate New York to help out some guy who did a hit and run, and after meeting with him his car blows up (without him in it). The movie then switches to four days before those events so we can see how he ended up in that situation. Michael Clayton, No Country for Old Men, and There Will be Blood all share some things; they all have some death to varying degrees, and people falling into things they shouldn't have and then being black mailed, threatened, or killed due to that fact. Really cool closing credits though. 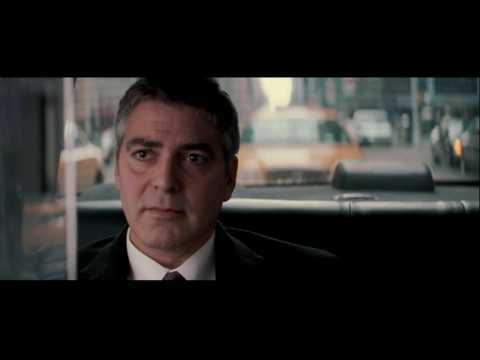 He jumps in a cab and gives the cabbie a fifty and says to give him “fifty dollars worth...just drive.” So we watch in single long shot, Michael Clayton (George Clooney) sitting in a cab with all the multitude of things running through his mind while being driven around in a cab. He looks around out the windows at everything passing by and takes some deep breaths and generally has a concerned worried look on his face that slowly switches to somewhere between scorn and sorrow. I have never seen anything quite like that before and it was really neat. As I am sure you have noted if you have read a few of these reviews, I really like the single shot scenes with no switching of camera angles, it really makes it feel a bit like a play and more like you are really there. As opposed to all these ridiculous action movies (Michael Bay is famous for this garbage) with tons of camera angle switches all over the place with terrible editing that makes you feel more like you are on an amusement ride than watching a movie. The movie was overall well done and enjoyable and much more interesting than There Will be Blood, but I still preferred the story and overall filming of No Country better than this effort. Still this is a solid movie that I would recommend to see but for this Oscar year I would say the Academy was right (and yes I haven't seen Atonement yet and probably never will) in picking No Country for Old Men as the best of the ones nominated. Obviously I haven't watched every movie from that year so there could be one that is even better, but I doubt it.